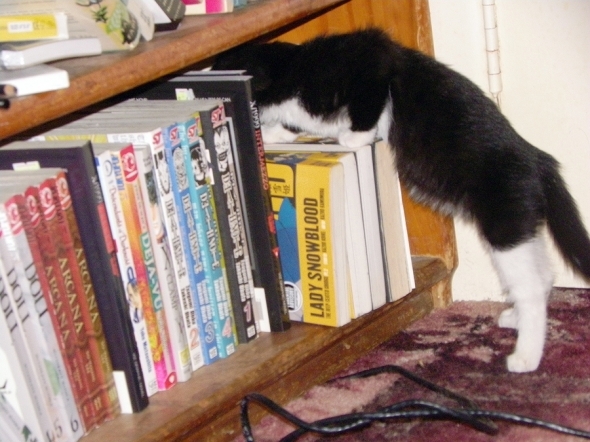 ← Q: How do you know you have too many books? A: When your baby has to help you pack them. I am thinking of coining a new term. Right here. Right now. I believe the reason we need this term is that too many novels I pick up to read turn out to be short stories in disguise. This may not be an issue for some, but it is a serious one for me. I love novels. I love going in depth with the storyline, getting to know the characters and taking the long journey with them. The point of a novel for me is the experience of getting lost, becoming so engaged that I hate putting the book down and then can’t wait to pick it up again. Short stories are not novels, nor do I want short stories in my novels. If I’m in the mood for a collection of short stories, that’s what I would pick up to read. But if I’m craving a novel, then I want it to be the traditional work that stays with the same group of characters throughout the story. If I’m choosing a book off the shelf that is made up of short pieces, each one about a different set of characters linked mostly by the same font, then I want to be warned. Hence the need for a new category, a new term. I suggest, Faux Novel. If I’m browsing for a book and the cover identifies it as a Faux Novel then at least I know what I am getting and can make the decision to go with it or choose something else. Olive Kitteridge by Elizabeth Strout, winner of the Pulitzer Prize. I think Ms. Strout is an engaging writer and I thoroughly enjoyed her Amy and Isabel a few years back. 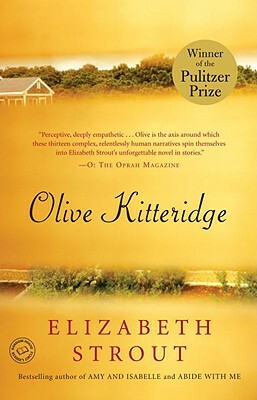 However, Olive Kitteridge seems to me, especially in the first part of the book, primarily a series of short stories in which Olive might only be mentioned or perhaps not mentioned at all. It’s not until the last few chapters that we begin to know Olive and follow her sad later life. I realize it’s also the story of a small town, but that is not reason enough to care about the random unconnected characters in the first part of the novel. 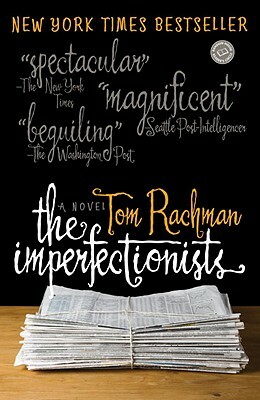 The Imperfectionists by Tom Rachman, about a newspaper set in Rome, has loosely linked short stories about various characters under the umbrella of the newspaper, but only a few characters appear in more than one piece. And although it’s well written, in my opinion it is not a novel, it is a Faux Novel. 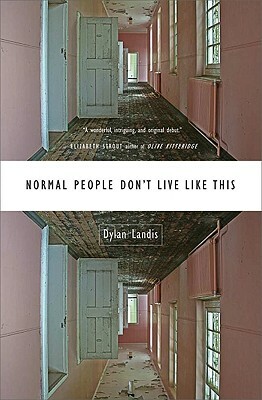 Normal People Don’t Live Like This by Dylan Landis, is, like Olive Kitteridge, loosely centered on one character. 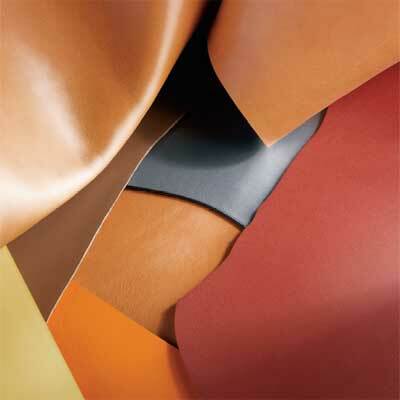 A character who may or may not be central in the various “installments” that make up the “novel”. It’s a beautiful book, of course, but that is of no consequence when the form itself is thrown in your lap, with no warning. I wonder if any of you share my frustration in finding the novel you just sat down with is really a collection of short stories, and do you have a better name for the genre than Faux Novel? Updated: Shnovel is pretty good, too, Juli. Thanks. I read “Olive” and felt the same. Perhaps these books could be called “shnovels”? Amen, Donna!!! Can I get a witness!!! And I love the term “Shnovels”, ha ha!! Haha, shnovel is such a funny term! I haven’t read “Olive” yet, but I had the same issue with “The Imperfectionists.” The characters are related in job only. One good short story collect that actually does feel like a novel is “The Things They Carried” by Tim O’Brien. His interconnected collection of Vietnam war stories really does paint a larger, vivid picture. I totally agree with this post. I love novels for the same reason the author describes. I respect short stories, but can’t read an entire collection all at once–I hate all the stopping and starting. So, I approach a collection of short pieces completely differently from how I approach a novel. When a book I thought was a novel turns out to be short stories, I am disppointed, annoyed, feel unprepared, and sometimes don’t keep reading. I also tend not to be a fan of novels told from multiple viewpoints–I like a sustained narrative. Having said all that, if a book is really good, I can forgive just about anything. I agree with the above poster about “The Things They Carried,” for example. I also might go back and give “The Imperfectionists” another try, with a different mindset this time. Donna, I love the quote, “…a different set of characters linked mostly by the same font…” – hilarious. Colum McCann’s “Let the Great World Spin” was a sumptuous book full of rich language and dialogue, but it wasn’t until 80 pages in that I suddenly realized it was a book of “inter-connected stories” and not the novel I expected it to be. While I still, ultimately, enjoyed it, I hated being ripped from a narrative style and group of characters that fascinated me, to a string of differing styles and characters who…. well… didn’t. So, I feel your pain and appreciate your post on the matter. How about “Carvels”? A cross between the king of short stories, Raymond Carver, and the novel. The queen version would be the “Munrovel” for Alice. It’s sort of like “Short Attention Span Theatre” for writers; a sign of the Boomer-bust times, and the concern, no, fear, one has these days of spending too much time focused on whatever it is you’re focused on, and of missing the world racing by. I am a professional and work in an office where I have so much work crying for attention that I feel truly guilty stealing the pleasure of reading anything, let alone your blog.